Are you okay with Visual Studio 2013 ALL CAPS Menu? If not there’s a simple solution. I have attached the .reg file with post. Extract the downloaded zip file and execute the reg. file with admin rights. 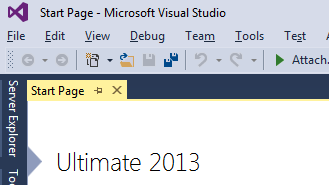 Restart Visual Studio 2013. It’s Done. If you want you can review the downloaded reg file in any text editor before executing. If you want to do this manually then Open the Registry Editor (regedit) and add the below key and value. If you want that CAPS Menus back then just remove the above key from the specified location. The connection requires the use of the SonicWALL Virtual Adapter, however this adapter can not be found. Don’t panic if you get this error message while using Sonic WALL VPN. Go to Control Panel->Network Connections. Right click on SonicWALL VPN Connection\ SonicWALL Virtual Adapter and click Enable. Now you should be able to connect. 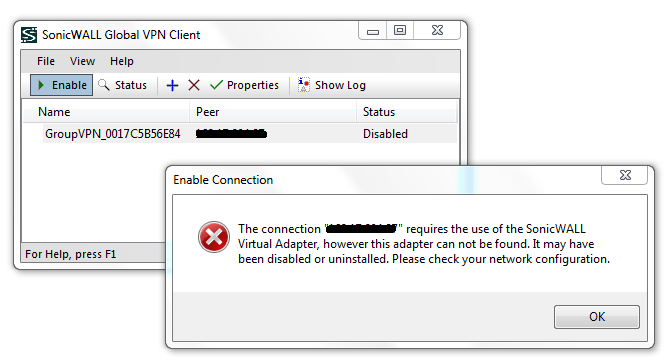 If you are still facing issue “The connection ‘IP’ requires the use of the SonicWALL Virtual Adapter, however this adapter can not be found. It may have been disabled or uninstalled. Please check your network configuration.” issue, then please consider reaching to SonicWALL support forum.